Background Following the April 20, 1999, massacre at Columbine High School, Littleton, Colo, school administrators, law enforcement officials, and the media reported a rash of successive bomb threats and threats of school violence that were attributed to imitation. Objective To establish that the clustering of threats of school violence following the Columbine massacre was initiated by imitation. Design A database of threats of school violence reported to the Pennsylvania Emergency Management Agency, Harrisburg, during the 50 days following the Columbine incident was examined to determine the daily frequency of threats. To determine factors that predict the occurrence of these threats, counties and school districts in which threats occurred were noted. Results Pennsylvania school districts reported 354 threats of school violence during the 50 days after the Columbine massacre, far exceeding the 1 or 2 threats per year estimated by school administrators before 1999. The frequency of these threats over time demonstrated a crescendo-decrescendo pattern. Fifty-six percent of the threats were made on or before day 10 after the incident, and more than one third occurred on days 8, 9, and 10. Factors that predicted the likelihood of a school's receiving a threat after the massacre included a greater proportion of white students and larger school enrollment. Conclusions Successive threats of violence follow a publicized act of school violence. The media should recognize that imitation threats can occur and craft their stories accordingly. The news media attributed these threats after the Columbine massacre to imitation, with Time making reference to a "copycat syndrome"4 and CNN suggesting that "[t]he Littleton massacre has given ideas to troubled students in their own schools to try something similar. "5 School administrators also point to imitative processes in trying to explain the clustering of bomb threats that followed the incident. Paul Houston, director of the American Association of School Administrators, Arlington, Va, told the Associated Press, "The magnitude of the event and the coverage it received jacked up everybody's awareness and the awareness of kids who might be into this kind of copycat behavior. "6 Despite the anecdotal evidence and professional opinions, there is no documentation of clustering of violent threats against schools following publicized acts of school violence. In addition, no one has shown that these threats occur in a time pattern that is consistent with the imitative process. Although there are no data on school violence threats, the link between news coverage of a suicide and imitation suicide is well documented. Phillips and Carstensen published compelling evidence that suicides "cluster" around publicized suicides and that "television stories about suicide trigger additional suicides. "7(p685) Bollen and Phillips8 studied the number of suicides during the week before and the week after specific stories that were carried on at least 2 of the network evening news programs. An increased incidence of suicides during the 7 days following such stories was documented for 5 of the 7 stories in the study, accounting for 244 excess suicides. The daily fluctuation in the number of excess suicides showed the greatest number (n = 63) on day 6 after the broadcast; a smaller peak (n = 45) was found on day 2. The effect of the suicide story declined after day 6 and was calculated to last until day 10. According to the authors, that the incidence of suicide peaks after (and not before) the broadcasted stories suggests that the excess suicides are a result of imitation. A similar study by Phillips and Carstensen7 examined the number of adolescent suicides before and after 38 televised news stories about suicide. This study confirmed the results of the prior study: following the broadcast of 24 of the stories, there was, on average, a 2.9% increase in teen suicides per story (P = .008). The mean increase in adult suicides per story was not significant. In addition, the authors found that the increase in suicides during the week following each story was "highly correlated" with the number of news programs covering the story (Spearman r = 0.51; P< .001). The data also revealed that the increase in adolescent suicides following a specific story that details a suicide (2.5 per story) was not significantly different from the increase following a general-information article about suicide (3.4 per story). The authors conclude that these clusters of teenage suicides "trigger a significant rise in teenage suicides" and recommend that "journalists . . . consider ways of reducing public exposure to stories, both general and specific, about suicide. "7(p689) These studies document an imitation effect lasting for 1½ weeks after the news event, peaking on day 6. Other studies have documented that TV coverage of suicides leads to imitation suicides. After the state auditor general of Pennsylvania committed suicide after being convicted of accepting money as a kickback, there was an increase in suicides still climbing 8 weeks after the suicide; this increase occurred in middle-aged adults.9 Gould and Shaffer10 reported an increase in suicide attempts presenting to New York City, NY, area emergency rooms during the 2 weeks following a TV drama depicting a fictionalized suicide. However, a review of the event by Phillips and Paight11 examining broader data failed to replicate this finding. Berman,12 in his review of the subject, also found no increase in overall suicide rates after a TV drama showing a fictionalized suicide, but there was some copying of the suicide method used in the story. The data suggest that televised coverage of real suicides, and perhaps TV drama depicting fictionalized suicides, leads to imitation suicides in excess of the number that would naturally occur in the population. Media news organizations have debated their responsibility at times, but most have no clear standards to guide them on how to cover news events that may spur imitation. The tragedy at Columbine High School raises the question whether dramatic violent events lead to threats of violence in susceptible individuals. Despite speculation by journalists, educators, and law enforcement officials, there is no published material documenting the clustering of threats against schools following a publicized act of school violence, and no evidence to implicate imitative processes as the explanation for the rash of threats of school violence after the Columbine massacre. 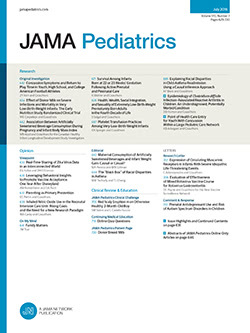 The primary purpose of this study was 2-fold: (1) to document the frequency of threats of school violence after the Littleton incident and (2) to show that the frequency of these threats over time was consistent with the pattern of imitation from media events previously accompanied by imitation suicides. We also analyzed the epidemiological data regarding these threats after the Columbine massacre. The media have portrayed the wave of copycat threats of violence as a problem in rural communities and affluent suburbs (such as Littleton), where school violence and crime, in general, are not a concern of daily living. "The specter of school violence seemed to be jangling nerves in normally placid communities," reads a New York Times article.13 Donald Owen, JD, of the Pennsylvania School Boards Association, New Cumberland (written communication, December 1999), shares this opinion, calling the rash of school bomb threats after the Columbine incident "primarily a suburban and rural problem." This study also examined the demographics of the counties and school districts that had frequent threats, to determine the areas most at risk for these disruptive threats following a publicized act of school violence. In Pennsylvania, following the April 20, 1999, Littleton incident, school districts were instructed to report all threats of violence against schools, students, or faculty to the Pennsylvania Emergency Management Association (PEMA), Harrisburg. The records we obtained from PEMA documented all reported threats of school violence from April 22, 1999, through June 9, 1999 (the last threat of the 1999 school year). They included the date and time of the threat; county, school district, and school; type of threat (bomb or other weapon); class disruption caused by the threat (evacuation or canceling of classes); and whether the person making the threat was detained by the police. The incidence of threats of school violence before April 22, 1999, could not be obtained. We contacted numerous Pennsylvania state agencies and federal agencies, including PEMA; Pennsylvania Center for Safe Schools, Lemoyne; Pennsylvania Department of Education Office of Safe Schools, Harrisburg; Pennsylvania School Boards Association, New Cumberland; Pennsylvania State Police Department Public Information Office, Harrisburg; American Association of School Administrators; Bureau of Alcohol, Tobacco and Firearms, Washington, DC; Centers for Disease Control and Prevention, Atlanta, Ga; and Federal Bureau of Investigation, Washington, DC; all of which reported no knowledge of any database of violent threats against schools before the Columbine High School incident. Owen, at the Pennsylvania School Boards Association, speculated that no such records were kept because these terrorist threats were so "rare"; furthermore, he estimated that during 19 years at his position, only 1 or 2 such threats per year had been typically reported (written communication, December 1999). We analyzed the frequency of bomb threats as a function of days after the Littleton incident. In addition, we compared the frequency of threats after the massacre according to type of school, type of threat, action taken by the school, action taken by the police, and time of day. The data were analyzed by examining all violent threats and by bomb threats only. County demographic data were obtained from the US Bureau of the Census county estimates.14 School arrest, weapons possession, and violence rates by county were taken from a report by the Pennsylvania Department of Education.15 School district information was also obtained from the Department of Education.16 The variables examined from the county data included median household income, crime rate, percentage of adults older than 25 years who had obtained a college degree, poverty rates for all persons and for school-age children and adolescents, and school arrest, violence, and weapons possession rates for the county. The variables examined for the school districts included enrollment, high school enrollment, attendance rate, size of classes (percentage of classes with >27 or >30 students), 9th- through 12th-grade dropout rates, student-teacher ratio, teacher salaries, teacher absenteeism, and state assessment mathematics and reading scores. To analyze these data, we used Poisson regression techniques, which are appropriate for modeling the relationship of the incidence or rate of explanatory variables. In our case, incidence is defined as the number of threats divided by the total population in a county, based on 1998 estimates. In the Poisson regression analysis, the total population aged 5 to 17 years was considered an offset term and was entered as the log, with a coefficient fixed at 1. We also included in this analysis a scale variable to estimate the overdispersed variance. Predictors, such as counts by county of poverty, crimes, ethnicity, and income, were entered as the log of counts or numbers, divided by 10 000.17 The log of the predictors was used to improve the model fit and the interpretation. This is because the link function for the Poisson regression is the log function. If the relationship between the count of threats and the predictor was linear, the log of the predictor depicted such a relationship. If the second-degree or higher polynomial term was significant, then the relationship between the count of threats and the predictor was not linear. The analysis tested a higher polynomial term of the transformed predictor first, while including all lower terms in the model. If it was not significant, then it was removed. Backward selection was performed at the P<.05 significance level. From April 22, 1999 (day 2 after the Littleton incident), through June 9, 1999 (day 50), 354 threats of school violence in Pennsylvania were reported to PEMA. Although there were no official records from the prior school years, this represents a dramatic increase from the 1 or 2 threats per year typically reported. Figure 1 shows the frequency of all threats for each day after April 20. The general trend shows a steep increase in the number of threats, which crescendos until day 10. Of the 354 threats after the Columbine massacre, 120 (33.9%) occurred on days 8, 9, and 10. One hundred ninety-eight (55.9%) occurred on or before day 10. After day 10, the frequency of threats decayed exponentially. During the last 20 days of the study, only 37 (10.5%) were noted. Because the data from days 0 and 1 were not available, it cannot be determined if the curve starts at baseline (which is presumably approximately zero). The general trend for the frequency of bomb threats only was similar (Figure 2). Daily number of all threats of school violence during the 50 days following the Littleton, Colo, school shootings. Daily number of bomb threats during the 50 days following the Littleton, Colo, shootings. A more detailed examination of Figure 1 reveals that the trend was interrupted by weekends. The data suggest that days off from school may accelerate the decline in the daily number of threats. During the period in which a mean of 28 threats were made per school day, only 2 threats were placed on Sunday and zero on Saturday. The day on which the frequency climaxed, with 44 (day 10), was a Friday; yet only 7 threats were placed that weekend. Following each of the first 4 weekends during the study, there was an accelerated decline in the number of threats. During the week that included April 20, the maximum number of threats was 32 (day 3), but on Monday of the second week (day 6), there were only 15 threats made. During the second week, there was an increase in the number of threats, reaching a peak on Friday (day 10), with 44. After an uneventful weekend, the Monday of the third week had only 17; that week peaked on Tuesday (day 11), with 24. After the next weekend, there were never more than 9 threats made per day. On the Memorial Day holiday (day 41), no threats were made, although the Friday before (day 38) there had been 3, and the Tuesday after (day 42) there were 4. Days off from school hastened the decrescendo in the number of daily threats. The threat data provided by PEMA after the Columbine incident also allowed for the determination of epidemiological data concerning threats after a publicized act of school violence. Three quarters of the reported threats were bomb threats, as opposed to threats with guns, knives, or other weapons. Bomb threats were disruptive to classes, as half resulted in evacuation of schools (38%) or canceling classes (12%). Almost half (48%) of the violent threats involved senior high schools, 27% involved junior high schools, 8% involved elementary schools, and the remainder involved vocational or technical schools or school district administration buildings. In most cases (82%), the perpetrator was not detained by police. Finally, the bomb threats were most likely to occur between 8 AM and noon, with 54% of all threats and 60% of bomb threats occurring between these hours. Sixty-two of the 67 counties in Pennsylvania had at least 1 threat reported to PEMA. Six counties (Berks, Bucks, Cambria, Lancaster, Lehigh, and Union), all of them suburban or rural, had 15 or more threats, accounting for more than 35% of the total number of threats after the Columbine incident. Four of these 6 counties (Berks, Bucks, Lancaster, and Lehigh) are suburban counties within 144 km of Philadelphia, Pa. The same 6 counties accounted for greater than one third of the total number of bomb threats after the Columbine massacre. The predictor variables that were used in the Poisson regression analysis of the threat data reported in this study are described in Table 1. Each of these predictor variables was based on the number of individuals or reports for each of the 67 counties of Pennsylvania. The one exception was median income. All variables reported in this table were divided by 10 000 for ease of interpretation. The statistical analyses of these data, based on the final model of the Poisson regression, are summarized in Table 2 and Figure 3. These data indicate that the relationship observed between the number of threats reported and the predictor variables, when significant, was a nonlinear one. There was a significant relationship indicated between the number of households living below the poverty level and the number of threats reported (P = .01). This nonlinear relationship indicated that the maximum incidence of threats was associated with those counties with a very low poverty rate (Figure 3). The incidence rate ratio of the number of threats generated by the Poisson regression is plotted against predictor variables. A, Poverty rate. B, Prevalence of white ethnicity. C, Prevalence of college-educated citizens. D, Crime rate. All predictor variables were divided by 10 000 for ease of interpretation. Furthermore, we found a relationship between the number of threats reported and the number of adults in the county with a college education (Figure 3). The analysis suggested that counties with a lower proportion of college-educated citizens in the community were associated with a higher number of bomb threats (P = .001). We also observed an association between the number of serious crimes reported in a county and the number of bomb threats (Figure 3). Specifically, the highest incidence of bomb threats was associated with the counties with the lowest reported crime rates (P = .003). Finally, there was an association observed between the ethnic distribution of the counties and the number of bomb threats (Figure 3). Those counties that were more diverse were significantly less likely to have bomb threats (P<.001). To describe these data in another way, those counties with the most or the least white citizens were more likely to experience bomb threats after the Columbine incident. Of the 501 school districts in Pennsylvania, 172 reported at least 1 threat after the Columbine massacre. Only 5 school districts (Lancaster, Northern Lehigh, Milton area, Delaware Valley, and Lewisburg area) had 7 or more threats; Lewisburg area school district had the most (n = 12). To examine for characteristics of school districts that were most affected by threats after the incident, affected school districts were separated into those with only 1 threat (n = 101) and those with 2 or more threats (n = 71). The school districts with more frequent threats had a significantly greater mean enrollment (P = .008) and high school enrollment (P = .02). The groups did not differ significantly in attendance rates, sizes of classes, dropout rates, teacher salaries, teacher absenteeism, or state assessment scores. This study is the first examination of threats of school violence following the Columbine High School massacre on April 20, 1999. Although there is no official record of the frequency of threats of school violence before the massacre, the 354 threats during the first 50 days after the incident far exceed the 1 or 2 threats per year estimated by school administrators and law enforcement officials before this event. We can only speculate the reason for this imitative process of school violence threats after a publicized incident of school violence. The Columbine High School massacre was committed by 2 students who were members of the "Trench Coat Mafia," a group who wore black trench coats to distinguish themselves from other students and who expressed disgust toward mainstream school culture. One possible explanation is that the students who placed the threats were trying to be countercultural heroes and to differentiate themselves from conventional school culture. Child psychologist William Pollack (as quoted in Time) says that "[c]opycat criminals are often lured by the sheer thrill of making headlines . . . It is a power trip for the powerless, those who feel they have nothing to lose. "4 Large schools with enrollments exceeding 1000 students, such as Columbine High School, alienate students "who lack strong academic and social skills. "18 Indeed, our study found a significantly higher mean senior high school enrollment in school districts with 2 or more threats (1043 students) after the Columbine incident compared with the mean enrollment in those with only 1 threat (865 students). Therefore, we hypothesize that these students place threats to counteract "drift in the vast middle" and to gain the attention that the "super-sized" school cannot provide them. Whatever the explanation for imitation that is reflected in the crescendo-decrescendo curve of threats over time, a noteworthy disruption of this pattern is the days off from school. During the study, a mean of 10 threats occurred per school day but less than 1 per off-day (Saturdays, Sundays, and the Memorial Day holiday). In addition to there being fewer threats placed on off-days, the off-days accelerated the decline in the daily number of threats. Days away from school decreased the effect. If threats of school violence are the result of countercultural rebellion against the mainstream school culture, we speculate that days-off, by removing the offenders from the mainstream culture, should diffuse conflict and reduce the frequency of disruptive threats. This study not only confirmed the role of imitation in school violence threats after the Columbine massacre and emphasized the importance of off-days, to decrease the effect, but also established a profile for schools at risk. Senior high schools were threatened more frequently (48% of all threats) than were other types of schools; junior high schools were second most likely to be threatened (27% of all threats). Only 5 of the 67 counties in Pennsylvania received no threats of violence following the Littleton incident, suggesting that no school can ignore the wave of copycat threats after publicized acts of school violence. We did, however, find evidence that suburban or rural counties were more affected than were urban counties. The 6 most affected counties (35% of all threats after the Columbine massacre) were all suburban or rural. The counties that include the 2 largest cities in Pennsylvania, Philadelphia County and Allegheny County (Pittsburgh), reported only 5 threats (1.4% of all threats) after the Columbine incident. Counties more affected by the wave of threats also had lower proportions of minority students (ie, more white students). This fits the trend of a more frequent occurrence of bomb threats in rural and suburban counties. Data concerning mean income from Pennsylvania counties and the percentage of adults with a college education were obtained from US census data.14 Although summary statements about the counties with threats can be made, it must be noted that individual characteristics of persons making the threats are not known. Conclusions about any individual at risk cannot be drawn from these group data. Furthermore, the reporting of threats was a voluntary process by schools in Pennsylvania. Although interest and concern about school safety were heightened after the Columbine incident, it is possible that some school districts chose not to report events to PEMA. The fact that all but 5 counties in the state reported events suggests that these events were diffuse and commonly reported. This study showed other interesting trends in the pattern of threats of school violence after the Columbine massacre. First, most threats (75%) involved bombs rather than guns, knives, or other weapons. The crescendo-decrescendo time pattern for all threats of school violence after the incident was the same as that for bomb threats only. A second interesting trend is the high frequency of threats during the morning hours between 8 AM and noon. If the offenders' motivation for placing the threat was simply to get out of school, we would have expected most threats before the school day began. That 54% of all threats and 60% of bomb threats were placed during these morning hours suggests some other motivation. Finally, the data kept by PEMA reveal that only 18% of threats resulted in the perpetrator's being detained by the police. Although the low detainment rate may be because most perpetrators were not identified, it may also reflect that the threats were not perceived as serious. School administrators and media news organizations need to recognize the role of imitation in initiating school violence threats that follow publicized acts of school violence. They also need to understand what characteristics put a school at greater risk for such threats. Knowing this information will allow them to more appropriately manage or prevent the rash of threats that follow future terrorist acts against schools. School administrators, based on this study, should know which schools are most likely to receive these threats. As was hypothesized, threats after the Columbine incident occurred primarily in affluent suburban or rural school districts. They are more likely to affect high schools vs other grade levels. The data in this study also suggest that a day off from school following a publicized act of school violence may help to decrease the number of threats on subsequent days. That high schools with larger enrollments are more likely to be affected lends credence to the "drift in the vast middle" hypothesis. Education researchers say that the ideal high school size is 600 to 900 students.18 Until it is feasible for existing high schools to downsize, school administrators and teachers who work at large high schools must develop strategies to counteract the effects of the size of their schools. Recommendations include hiring more guidance counselors, having teachers keep an eye out for students who appear to be loners, encouraging students to find their niche, and conveying that each student is important. These strategies not only will "downsize the impression of bigness" but also will decrease the tension between the mainstream school culture and those who want to rebel against convention to become countercultural heroes. Knowing that imitation fuels the rash of threats following media coverage of a violent act in school, the media also can play a role in reducing the number of disruptive threats that follow acts of school violence. The media must be more responsible in reporting stories of school violence. After Phillips and coworkers7,8 established the role of imitation in initiating adolescent suicides, the media's front-page attention to high-profile suicides was minimized, and reporters usually included the telephone numbers of suicide hotlines after stories on suicide. Similar changes need to be undertaken concerning the reporting of acts of school violence. When notorious acts of school violence occur, the media must evaluate how much attention should be devoted to the story. The Chicago Sun-Times, for example, did not report the Columbine shootings on their front page.4 The Center for the Prevention of School Violence, Raleigh, NC, advises that the media pay more lip service to the outcome of the perpetrators.4 There is always much attention paid to the perpetrators during the act itself, but only a modicum of coverage depicting the negative consequences to the perpetrators. Finally, it is imperative that media news outlets be careful not to portray the perpetrators as countercultural heroes. Following the Littleton incident, many news stories and Internet sites provided information about the Trench Coat Mafia, the countercultural group to which the perpetrators belonged. It would be more prudent following similar events in the future to shift the focus from the countercultural aspects of the crime to the fact that the perpetrators are troubled individuals, who often suffer from psychiatric disorders, need help, and do not know where to get it. Providing the public with the names and telephone numbers of organizations available to obtain such help would be serviceable as well. Based on this study, media organizations must recognize the essential role of imitation in fueling the rash of copycat threats of school violence following acts of school violence that they publicize. The media must understand that the stories they report can initiate behavior that disrupts classes and causes anxiety for students; therefore, they should craft their stories on acts of school violence accordingly. The following ideas may be helpful editorial guidance. The perpetration of the crime should not be glorified in any way. An exact description of the crime or threat should not be included in a news story, to decrease the chance of exact imitation. If there is evidence that the students who perpetrate acts of violence are mentally ill, it would be appropriate to state that. This would decrease the risk of these individuals' being identified as countercultural heroes. Whenever appropriate, include telephone numbers of mental health help lines or Web sites where information about help may be obtained. After the event, remember that the school and community are trying to recover and heal. Be mindful that students may not be able to consent to interviews. Beware of the effect that continual news coverage may have on the healing process of a community. In the past, the media have responded well to data linking imitation to suicide news stories. Responsible editors need to consider how best to manage stories concerning school violence as well. Data on news reports of suicides show that "imitation" suicides among teens can occur within 2 weeks of such reports. After the Columbine High School massacre in April 1999, there was substantial media coverage and a question of whether imitation bomb threats occurred. Data from Pennsylvania showed a crescendo-decrescendo pattern of bomb threats during the 2 weeks following the Columbine shootings. Threats peaked on days 8, 9, and 10 after the massacre. More ethnically diverse areas were less likely to have bomb threats. The media should recognize that news coverage of such dramatic events can lead to imitation. Accepted for publication April 26, 2001. Corresponding author: Paul A. Kettl, MD, Department of Psychiatry, Penn State College of Medicine, Mail stop MCH073, 500 University Dr, Hershey, PA 17033 (e-mail: pkettl@psu.edu).